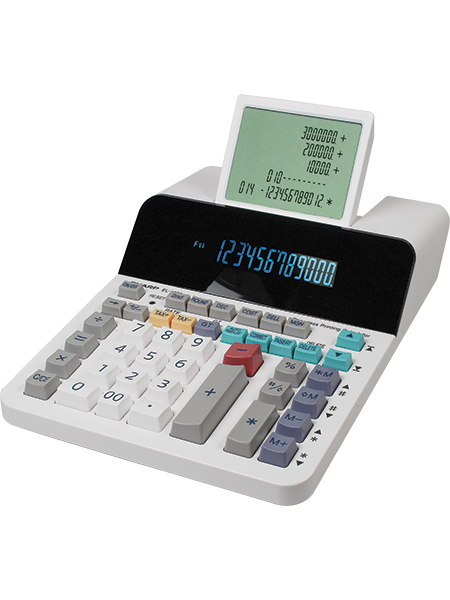 Powerful model that offers a unique combination of the functionality of both printing and desktop calculators. The combination of a 12-digit display and a 5-line LCD allows you to detach from traditional paper and with up to 300 steps Check & Correct function, you’re able to both see and edit your calculations. Thanks to the absence of a printing mechanism, this calculator is also completely silent and ecological. Other features include Cost/Sell/Margin, +TAX/-TAX, rounding up and down, decimal settings, Grand Total, double zero and 4 key memory. Power only by the supplied adapter.